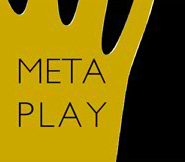 MetaPlay is a participative theatre, art and media registered charity set up to deliver participative projects in and with communities. Our aim is to get people involved in making theatre, art and film, and we feel that the best way to do this, is to engage people with issues that affect them directly. As a company that champions participative methodologies, we don’t stick to one technique. Our facilitators come with a wide range of experience and from both professional and community arts backgrounds and our aim is to use these diverse techniques in order to create interesting and exciting projects and develop new skills. It is our belief that play is essential to human development and that by engaging in play, we allow ourselves room to grow and to change. Our understanding is that play is central to the development of our arts, theatre and media projects. Our initial projects were set up exclusively to deliver theatre work, but over time, we have started to work developing intergrated projects with theatre, art and media using combinatory arts in some of our projects, normally with a bias towards one particular arts basis in any one project. A pivotal notion of our work is to find ways for participants to engage with each other in co-operative and collaborative ways using the appropriate medium. We have worked with a range of partners including schools, estate based community groups, housing co-operatives and refugee groups in inner and outer London Boroughs.